I’m always a little late with this list (as well as my Top 10 of the Year list, which never seems to happen). In years past, John and I have done this list as an episode on the podcast but he’s told me he hates doing this list and since his computer has died, I figured I’d just go ahead and type mine up. So click through, check out my list and tell me what you think. On Monday, August 11th, the entertainment world lost a monumental talent. 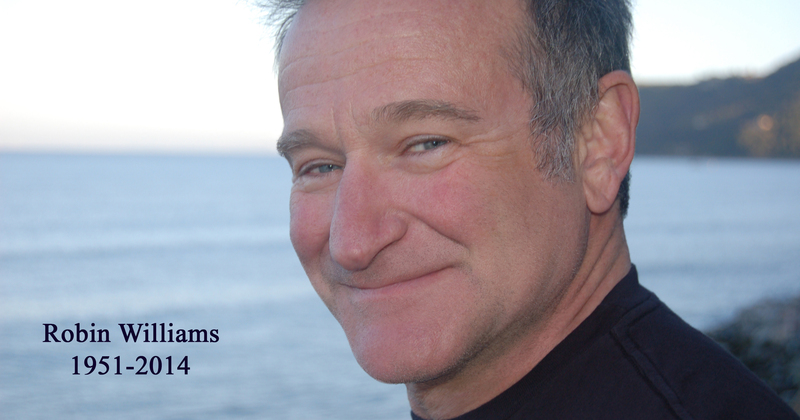 Robin Williams died at the age of 63 by suicide. The shock was enormous and felt by many. The internet has been flooded with outpouring of love for Mr. Williams and condolences for his family. Many have posted their first memories of seeing him on TV or in a movie, others have shared their favorite Robin Williams roles. In this post, I plan to do a little bit of both and share how he touched my life. My first memory of Robin Williams is Mork from Ork on TV’s Mork and Mindy. Looking at his filmography, the first film of his that I probably saw was Popeye (which is possible I watched before seeing Mork and Mindy), but the first film I saw of his in theater would have been 1991’s Hook. 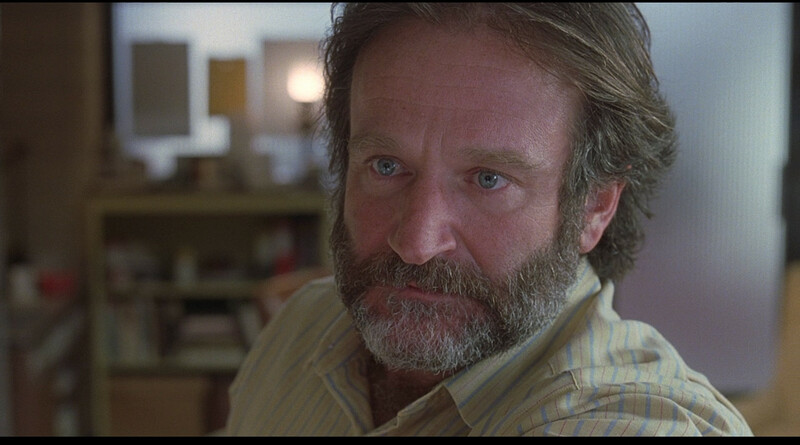 And yet, by the time I saw Hook, Robin Williams already had such a presence in my life. It had to have been because of Mork and Mindy. Most of his other film I wouldn’t have been allowed to watch at that age. I loved those old re-runs of him as the wacky alien living among us. The episodes with Jonathan Winters (who was a big inspiration for Robin Williams) as their son were among my favorite. Williams had a way of lighting up the screen and making me laugh like no one had before. I loved his zaniness, his charm, and his delight as he drank with his finger and said “Nanu-nanu”. 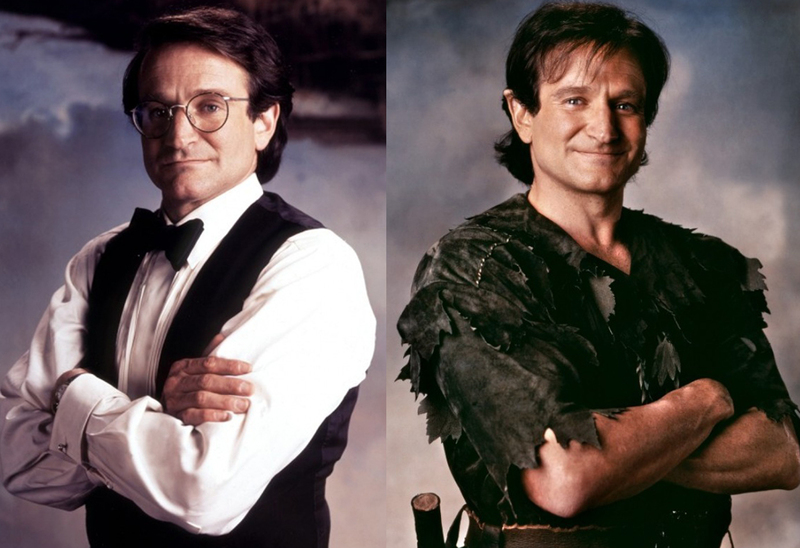 In 1991, Williams was perfectly cast as the boy who would never grow up, but somehow did: Peter Pan. With Spielberg directing, even my eight year old self knew I was in for something magical. Williams brought the perfect energy to the adult version of Pan and played Peter Banning, who doesn’t remember Neverland or anything from his past, perfectly. I can’t imagine anyone else playing the part. When Peter begins to remember (“You’re doing it, Peter!”), his whole demeanor changes (in fact, so does his appearance. You’ll notice his pointy ears and hairstyle). The little boy inside comes bursting through. Watching Williams fly around Neverland with John Williams score behind him is something that I’ll never forget. Critics may not have enjoyed Hook, but most people my age cherish it. I know I do. 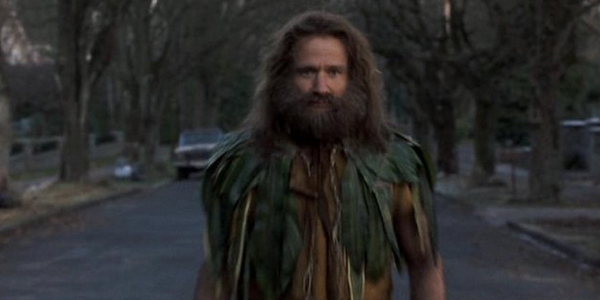 As Alan Parrish in Jumanji. The 90’s would be a very good time for Williams. 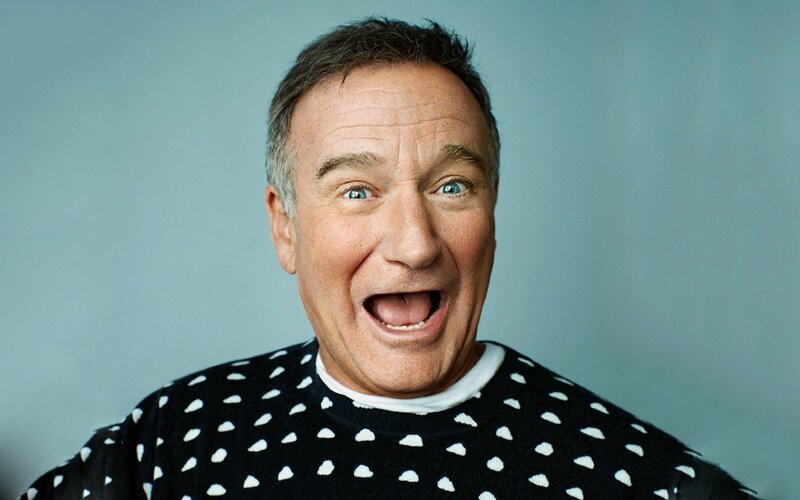 Mrs. Doubtfire, Jumanji, Flubber, Jack and Aladdin all would cement him as being the funniest man in show business. As I got older I began to check out Williams’ other films. Awakenings. Dead Poets Society. The Fisher King. 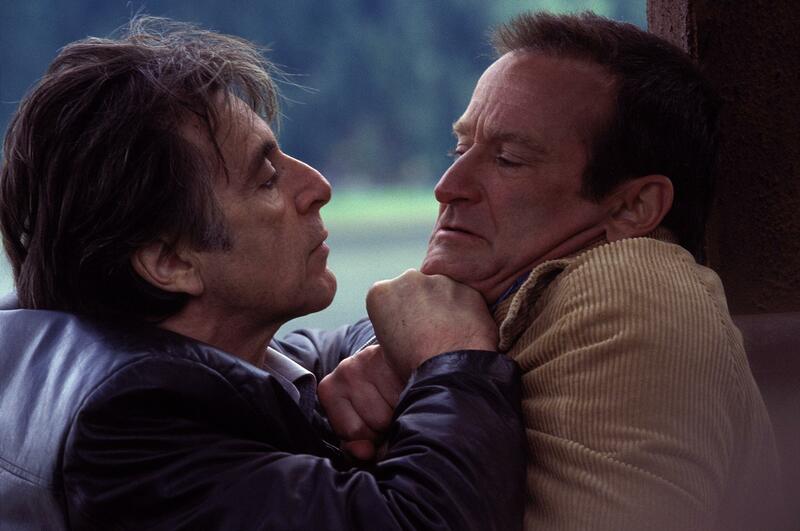 Not only was Williams an amazing comedic performer but he excelled in dramatic roles, too. The man could do anything. In 1997 he would go on to play Sean Maguire in Good Will Hunting. A role that would earn him an Academy Award for Best Supporting Actor. It’s my favorite performance of his and he deserved every award he received. In his Oscar winning role as Sean Maguire in Good Will Hunting. Some could argue that he didn’t have as much success in the 2000’s as he did in the 90’s but I would disagree. Maybe his films weren’t as big, but his performances were just as good. 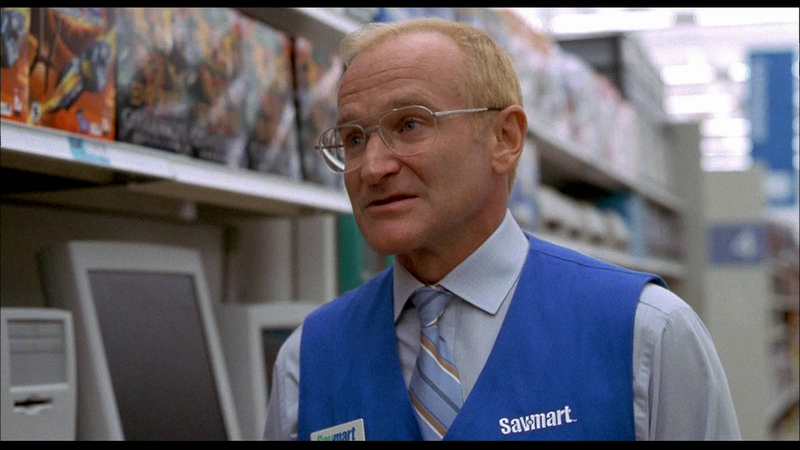 If you don’t believe me, check out Christopher Nolan’s Insomnia or Mark Romanek’s One Hour Photo. Or Bobcat Goldthwait’s World’s Greatest Dad. Opposite Al Pacino in Insomnia. As the creepy Seymour Parrish in One Hour Photo. On top of all that, Robin Williams seemed to be one of the nicest, most generous people in Hollywood. I’ve read countless stories over the last few days of his caring demeanor and willingness to go out of his way to make someone smile. He had the biggest heart and, from what I’ve read, never saw himself as someone as better than anyone else. We lost an amazing talent, a great comedian, an brilliant actor, and most importantly an incredible human being. We miss you, Robin Williams. Rest in peace. The official image of Supes for Batman v Superman: Dawn of Justice has been released by USA TODAY. Hit the jump to see the photo. Warner Bros. 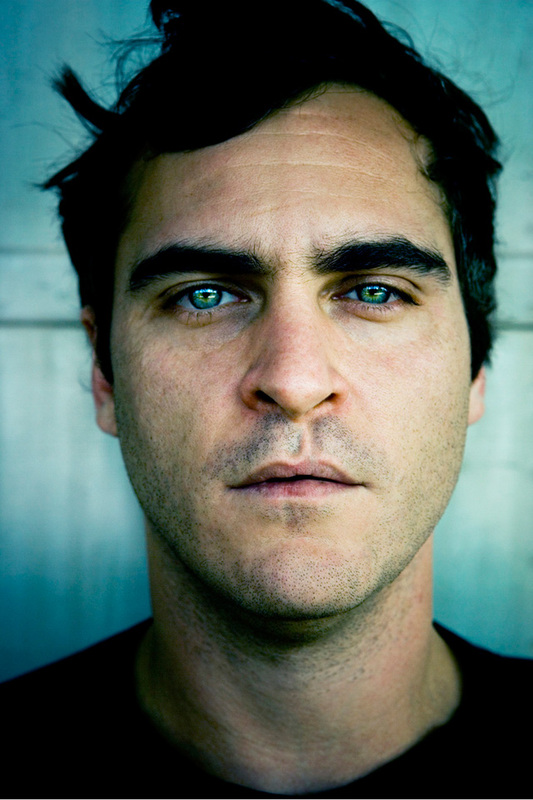 Wants Joaquin Phoenix for Superman/Batman movie. The rumor of the week is Warner Bros. is eyeing Joaquin Phoenix for a villainous role in their upcoming Man of Steel sequel. Joaquin Phoenix is known for avoiding big budget moneymakers like this, so I think it’s fair to say that he’s going to pass. He’s quite an excellent actor though and I’d love to see him added to the film’s roster. However, I’d like to throw my two cents in about who he could potentially play. Everyone is saying he’s up for the role of Lex Luthor. OK… Could be. I’m sure he’d be great, but I’m curious as to why no one has mentioned the more obvious choice: The Joker.